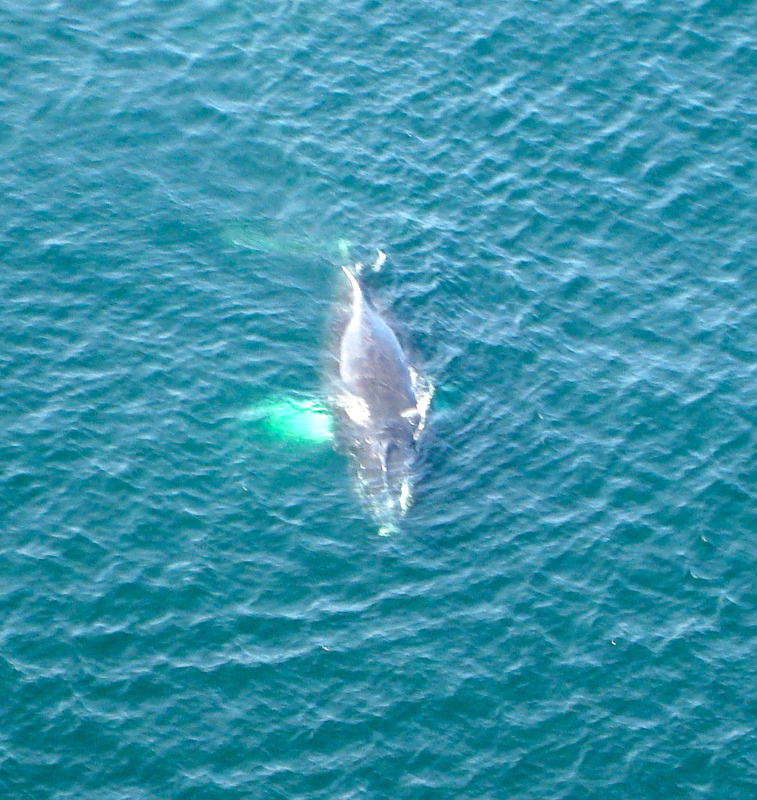 Humpback Whales and more in the Atlantic! With special thanks to Jake Levenson from IFAW. We’re here for the week in Cape Cod, to find humpback whales for scientists who will study, track, and tag some of them with GPS transmitters for further study. We arrived this afternoon and did a quick reconnaissance flight — and did we ever wish we had had a real camera with us! The rest of the week should be quite exciting, if today was any sign. In less than one hour, and not even 24 miles from our ‘home’ airport of Plymouth, MA, we spotted at least a dozen humpbacks — typically alone, but in one case there were two adults and a juvenile, and in another case many adults came together to hunt cooperatively by making a “bubble net.” We also saw several Minke whales, one large fin whale, a basking shark, one large leatherback turtle, and several large schools of tuna! Much of this was within just a few miles of the shores of Provincetown, Cape Cod, in an area of the sea known as Little Stellwagon Basin. We grabbed our emergency “point-and-shoot” camera from the side pocket of the airplane and snapped a few photos and even one short video, shown below. We hope to have many more photos and video of much better quality before this week is through! Weather looks good for tomorrow, a bit iffy the next day, so we’re planning a very early morning start. Stay tuned! Here is a short video of quite a long show that one humpback whale put on for us, as she or he put a great deal of energy into slapping the water repeatedly with one fin, making noise and waves that travelled for a very long way.